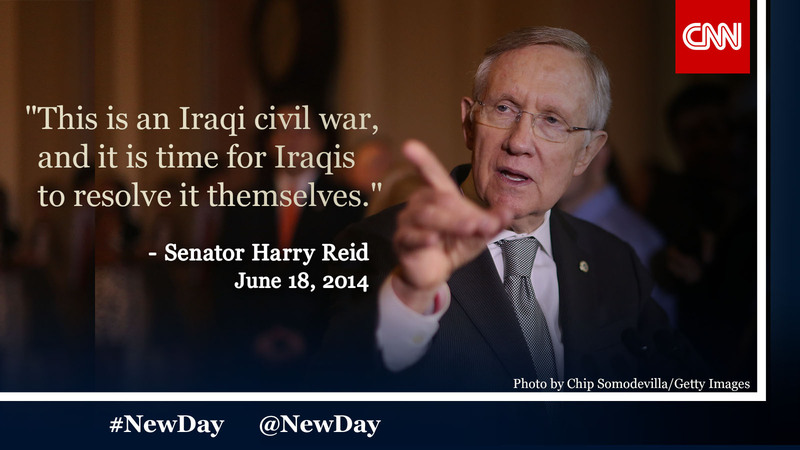 Politicians are united in disagreement about Iraq. What is our responsibility in the crisis? Weigh in on our "New Day" Facebook page. Up to 100 U.S. special forces - probably Green Berets, Army Rangers and Navy SEALs - would go to Iraq to advise its military and collect intelligence under a Pentagon plan offered to President Barack Obama, according to several U.S. officials. An announcement on the plan could come Thursday, though the officials made clear that Obama will decide whether to accept it and when to announce it. Obama is under pressure to help the embattled Iraqi government stave off a lightning advance toward Baghdad by Sunni fighters of the Islamic State in Iraq and Syria.